Professionals with data analytics skills are in high demand. We provide a variety of training opportunities and user groups throughout the U.S. and online to boost your productivity in using CaseWare IDEA®. Our courses are taught by experienced instructors and accommodate clients at all levels from those who are just getting started to advanced-level users. We cover the features and functions, plus the “how” and “why” of each action. Audimation understands you may have questions about our CaseWare IDEA training. To learn more, please review our frequently asked questions. Audimation understands you may have questions about our CaseWare IDEA training. To learn more, please review our frequently asked questions. Should you still have questions, please contact us. What Does CIDA Stand for, and How Do I Acquire this Certification? In March 2014, CaseWare Analytics announced a professional development program to increase and recognize technical skills in data analysis. CaseWare Analytics has created two certifications as an acknowledgment of the growing industry demand for data analysis experts. There are two certifications available: Certified IDEA Data Analyst (CIDA) and/or Certified IDEA Script Expert (CISE). For more information about the requirements, costs and preparation resources, visit our Certification page. What if I Register for Training and I Cannot Attend? I Registered for a Training Course, But I Have Not Received a Confirmation Email. Please check your Spam folder to be sure it as not misdirected. If you cannot find the confirmation, please contact us at [email protected] so we can confirm your registration, payment and resend you a confirmation. Are Course Materials Included in the Registration Fee? Can I Get the Course Materials in Advance? Course materials are provided for all public and on-site training, seminars and workshops. Materials are provided at the beginning of the class and are yours to use afterward. All materials are copyright protected, so reproducing materials is prohibited. Please see our Terms & Conditions statement for details. How Do I Receive My CPE Certificate? Audimation Services, Inc. is registered with the National Association of State Boards of Accountancy (NASBA). We issue a NASBA CPE certificate upon completion of each course. Can More than One Person Attend the Distance Learning Course? 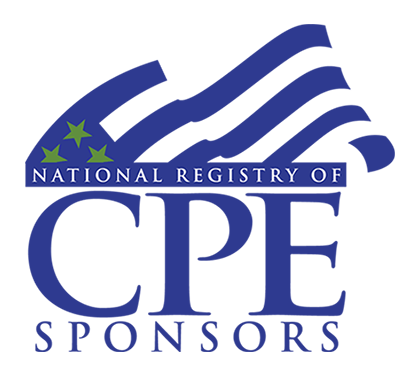 Yes, however only one NASBA CPE certificate will be issued per individual registration. What if I'm Interested in Attending a Distance Learning Course, But Cannot Make the Scheduled Time? Our Distance Learning courses are group-live events, and recordings are not provided. If you see a course offered, but are unable to attend, please contact us at [email protected] and let us know and we can arrange to offer the event on another day. You may reschedule for another date for the same event or substitute a co-worker without penalty as long as the substitute has similar or more advanced CaseWare IDEA skills. Rescheduling must be for an event within 12 months of the original event date. Otherwise the cancellation penalties below will apply. Cancellations with a request for refund must be made in writing before the event start date. Any written cancellation request received 30 days prior to the start of the event will be subject to a US $50 processing fee. Cancellation requests received less than 14 days prior the start of the event will be subject to a US $250 non-refundable service charge. No refunds will be given for cancellation requests received within 7 days of the event start date. All requests for refunds will be processed within 30 days. In no event will Audimation be liable to any party for errors, viruses or third-party interception of information obtained from this website or any direct, indirect, or consequential damages, including any lost profits, business interruption, and loss of programs or other data arising out of or in connection with the use or performance of Software, Services or Documents available on this site. By viewing and using this website you agree to these terms. If you do not agree to these terms, please exit audimation.com. Permission to use Documents (such as press releases, product information and applications, and other Services) is granted provided that all copyright notices and trademarks appear, unless otherwise specified. These Services are for your personal and non-commercial use, and no modifications to the Services are allowed. You may not copy, distribute, transmit, display, perform, reproduce, publish, license, create derivative works from, transfer, or sell any information, software, products or services obtained from the Services. Accredited education institutions can reproduce the Services for distribution for classroom purposes only. Distribution outside the classroom requires express written permission. Any software that is made available to download from the CaseWare-IDEA Inc. website is the copyrighted work of CaseWare International Inc. and is subject to the end user license agreement specified in your Software License Agreement. Any reproduction or redistribution of the Software not in accordance with this License Agreement is expressly prohibited by law and may result in penalties. The Audimation logo, DATAS for IDEA logo, and "Audimation - the experts in data analysis," are trademarks of Audimation Services, Inc. IDEA Data Analysis Software and the IDEA logo are registered trademarks of CaseWare International Inc. Microsoft, Access, Excel, and Visual Basic are registered trademarks of Microsoft Corporation. The names of actual companies and products mentioned herein are the property of their respective owners. Trademarks on this website may not be used except with the express written permission of the owner. The class was exceptional. I now have the confidence to take on situational-based applications of IDEA. It’s given me a million ideas about how to use data analytics in my work. We are your trusted partner for putting data analytics to work. One of the quickest and most productive ways to achieve your goals is to work alongside and expert who can provide instruction at every step. Expert Assistance provides one-on-one online assistance to help you tackle tough business challenges and learn-as-you-go to build your proficiency in using data analytics. Sessions may be purchased in blocks of time – contact [email protected] to discuss your needs. Audimation’s instructors have been utilizing CaseWare IDEA for over 20 years. As Certified Public Accountants (CPAs), Certified Fraud Examiners (CFEs) and Certified IDEA Data Analysts (CIDA), our instructors are extremely knowledgeable and utilize their data analytics experience working in the trenches of accounting, audit and finance to bring real-world applications and challenges to the courses. We look forward to helping you gain the confidence you need to put data analytics to work. Carol is widely recognized as an exceptional instructor, helping hundreds of professionals build their skills and confidence using data analytics. She joined Audimation Services in 1998 to establish the training department and shares her extensive knowledge of computer systems and data analysis techniques. As Director of Training, Carol develops and updates course curriculum, works with clients to customize content for on-site training and develops seminars and distance learning courses covering timely topics. Prior to joining Audimation Services, Carol was an accounting manager and audit coordinator for Cabot Oil & Gas and also worked in the audit department of Arthur Andersen. She is a graduate of Texas State University and is a Certified Public Accountant (CPA). She is a member of the American Institute of Certified Public Accountants (AICPA) and the Texas Society of CPAs. Mario Perez brings more than 12 years of experience as an advanced-level IDEA user to his role at Audimation where he provides training, instructional videos, and technical support and consulting services. Mario was introduced to IDEA as an audit associate at BDO New York. He has traveled the world sharing his enthusiasm for data analytics including working as the IDEA distributor in Scandinavia as well as training and consulting engagements in Saint Vincent and the Grenadines and The Bahamas. Jennifer Ellison has nearly two decades of experience in IT audit, forensic audit, and ethics and compliance for Fortune 200 energy services companies across 20 countries. In 2018, Jennifer joined Audimation Services as an Audit Analytics Consultant to help clients implement and apply CaseWare IDEA® to extend their auditing and fraud detection capabilities. As an IDEA Power User since 2001 — primarily using IDEA in fraud investigation and anti-corruption audits — Jennifer takes her online and on-site training and consulting to the next level by sharing specific, real-world examples of IDEA applications and providing knowledge and support for Professional Services. Also an experienced SAP user, she helps clients download and analyze SAP information. Jennifer is a graduate of Ambassador University and is a Certified Fraud Examiner (CFE) as well as a Certified Information Systems Auditor (CISA) – non-practicing. Barbara Godish is an experienced accounting professional, auditor and consultant. As an authorized IDEA trainer, she works with Audimation clients to customize on-site training courses to meet specific business objectives. Her management experience includes working with Wessel & Company CPAs where she was instrumental in implementing IDEA and risk-based auditing for the firm. Barbara is a graduate of the University of Pittsburg, and she is both a CPA and a Certified Business Manager (CBM). She serves as treasurer of the Auxiliary of Conemaugh Hospital and participates in fundraisers for the Auxiliary and other non-profit organizations in her community. Teresa Kilpatrick brings more than 22 years of experience to her role as a data analysis and management services consultant focused on helping Audimation clients put data analytics to work. She has worked in the manufacturing and utility sectors as a cost accountant, controller and accounting manager. Teresa joined Audimation Services in 1999 as a consultant to teach public and on-site training courses and provides consulting services to IDEA clients throughout the U.S. She is a graduate of the University of Texas at Dallas and a member of several professional organizations including the Texas Society of Certified Public Accountants (TSCPA) and the Association of Certified Fraud Examiners (ACFE) Dallas Chapter. She is also an IDEA User of Excellence Award recipient. Ricardo Murillo is a data analysis and programming expert. Ricardo has extensive experience in employing IDEA and IDEAScripts to streamline audits and forensic engagements. In addition, Ricardo is proficient in Microsoft Excel and Access. Ricardo previously worked at GPS Consultants where he worked to design IDEAScript solutions for healthcare. Ricardo worked to streamline audits for AP and payroll systems for various companies. Ricardo worked on the development and implementation of the Monitor Secure Payable Solution. Ricardo has also designed external applications that work side by side with IDEA and Monitor using C#. Ricardo enjoys playing the piano, the violin and video games and he has picked up a new hobby of wood burning.